Online Application Details for Indian Ports Association IPA Recruitment of 1 ERP Specialist and 1 Research Associate is given below. 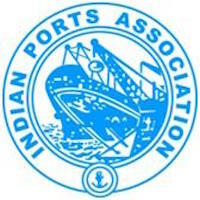 Application form and duly attested documents are to be sent to Indian Ports Association, 1st Floor, South Tower, Nbcc Place, Bhisham Pitamah Marg, Lodhi Road, New Delhi-110 003. In envelope super scribed with 'Application for the Post of Post Name'.